The new betas are available to everyone registered in Apple's Beta Software Program. Once iPhones, iPads, Macs, and Apple TV units are enrolled in the program, the software can be downloaded as an over-the-air update. The public betas shipped relatively quickly in relation to the developer betas, and are expected to contain the same contents. 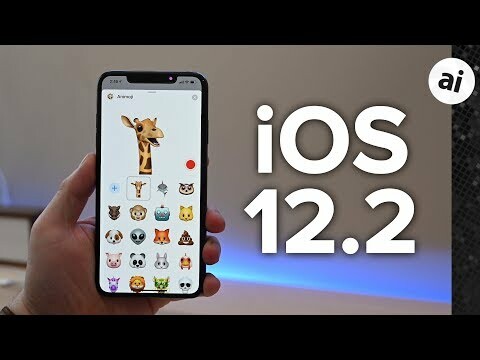 The second beta of iOS 12.2 has a number of improvements to the operating system, including four new Animoji characters, alterations to the Control Center, and changes to icons on the lock screen. Just a reminder for people like me. I have a single macOS device and that’s an iMac 14,2 that I use for my day to day desktop computing needs. I don’t participate in the beta programs for that reason. I can’t afford to deal with bugs and glitches that might bring me to a screeching halt. Don’t install betas on your computer unless you can afford to deal with these potential issues. And if you do make sure you have a complete bootable backup taken before you install the beta. And while we’re at it let’s talk about upgrading to a new version of macOS. The Apple discussion forums are full of desperate users who upgraded only to find out their mission critical software doesn’t function properly, or their printer/scanner no longer works, or their audio processing device refuses to connect now. And of course they almost never have a backup. So who do they blame for their pain and desperation. I’ll give you three guesses and the first two don’t count. The betas should not connect to your primary iCloud account too. Or you’ll risk losing data in the iVloud and thus all other devices using g the same iCloud account. I agree. Don't put your crown jewels at risk for the sake of experimentation. The Mac platform offers very easy options for people who really want to test drive new macOS beta versions. You can install beta OS versions on virtual machines using VmWare Fusion, Parallels, and Virtual Box. Another alternative is to build a bootable version of macOS on a USB3 or TB connected hard drive (or better yet SSD) and install the beta on the external drive and boot from the external drive using the boot options built into macOS. I don’t like the change to show battery percentage instead of the date on the lock screen. Why not both ...or user definable? Any of the many Safari text edit bugs fixed? No? More of the usual then. i don’t even hope for fixes anymore. I’m so sick of Apple’s refusal to address usability bugs and the Apple fandom’s refusal to demand these bugs be fixed. This platform is still the less bad choice but it used to be the best choice. IOS 12.2 Beta 2 installed but at the end said Face ID was not available. Now I have no access to Face ID on this 10X Max. Bummer. 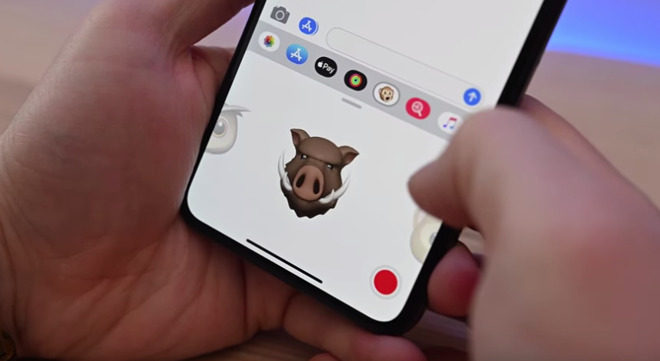 After a second hard reset Face ID started working. Yay!